An Italian police officer has told a court in Rome he watched colleagues beat up a 31-year-old man who later died in custody. Francesco Tedesco is one of three military police officers charged with the murder of Stefano Cucchi in 2009. There are five on trial in total, but only three on a murder charge. For several years the case looked set to end without anyone being brought to justice for Cucchi's death, allegedly because of a cover-up. But a breakthrough came when Tedesco accused two others of the beating that allegedly caused it. Tedesco said his colleagues had kicked and punched Cucchi in the face. "I say sorry to the Cucchi family and the penitentiary police officers who were defendants in the first trial (into the case)," Francesco Tedesco told a Rome court. "The last few years have been an insurmountable wall for me". 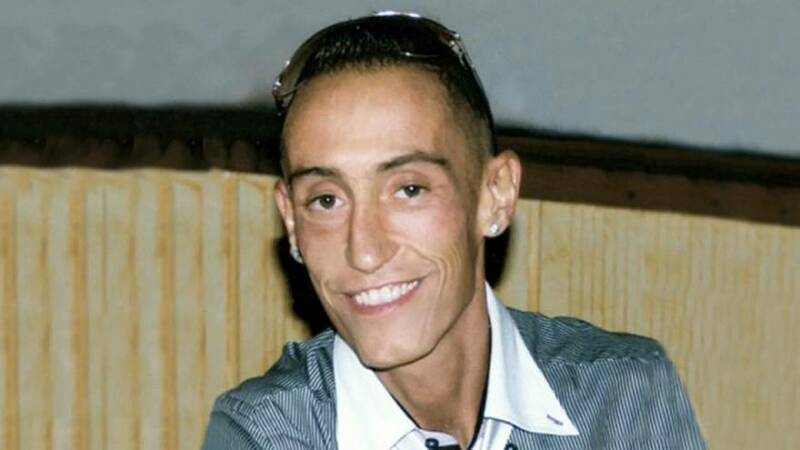 Tedesco told the court that, after refusing to have his fingerprints taken, Cucchi was slapped hard by another defendant, Alessio Di Bernardo. He said that Cucchi fell to the floor and hit his head. Tedesco said that another defendant, Raffaele D'Alessandro, then kicked Cucchi in the face. "It was not easy to report my colleagues," Tedesco said. "The first person whom I told what happened was my lawyer. I hadn't told anyone in my life for 10 years... To say I was scared is not enough. I was literally terrorised. "I was alone against a sort of wall. I panicked when I realised that my service notes had vanished". He said that a superior, Marshall Roberto Mandolini, told him that "you have to follow the line of the force if you want to continue to be a Carabiniere". "I sense a threat in his words," Tedesco said. Cucchi's sister Ilaria, who has staged a tireless campaign for justice for her brother, expressed satisfaction at Tedesco's testimony. "After 10 years of lies and cover-ups, the truth came into this courtroom told by the live voice of who was present that day," she said.